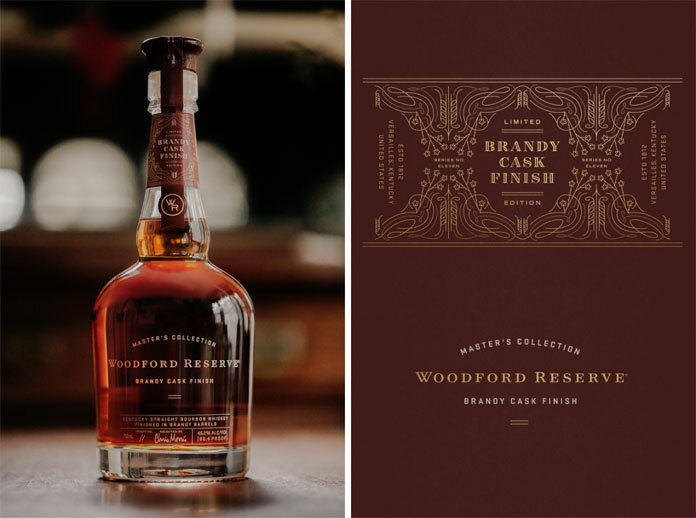 The Woodford Reserve Distillery's Master collection honours the pioneering work at Woodford Country Distillery in the 1800s by owner Oscar Pepper and Master Distiller James Crow. They are credited with refining the defining key process such as sour mashing, yeast propagation, copper pot distillation and the maturing of whiskies in new charred oak casks. Their work defined bourbon and subsequently rye whiskey, as it is known today. The master collection applies their handcrafted methods to variety of grains recipes, fermentation styles and maturation process to create a range of unique whiskeys. The Brandy cask finish is the 11th release and is a warmed ocher color. Aromas of chocolate,maple syrup and caramel sit over toasted hazelnuts, dark raisins and dried cranberries with soft note of oak and spice. It has flavors of toffee-covered dried fruit and toasted hazelnuts with Warming wood spice notes. The finish is long and warm with a touch of caramel. We have 100s of options to buy liquor online, simply visit our website and place your online liquor order today.